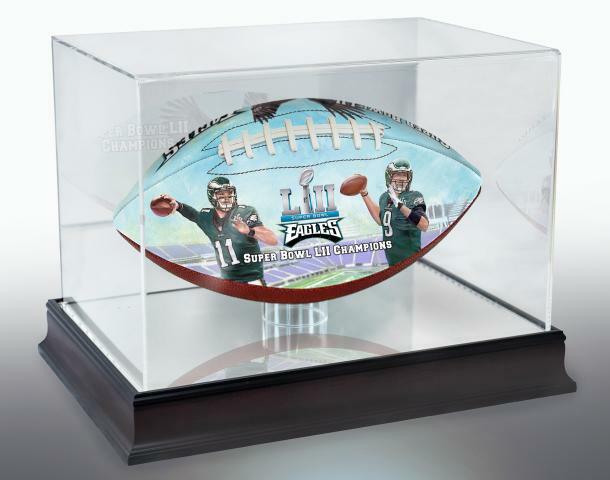 We are pleased to offer Philadelphia Eagles fans an amazing Two Football Set of championship collectible footballs to celebrate capturing the Super Bowl LII Championship! 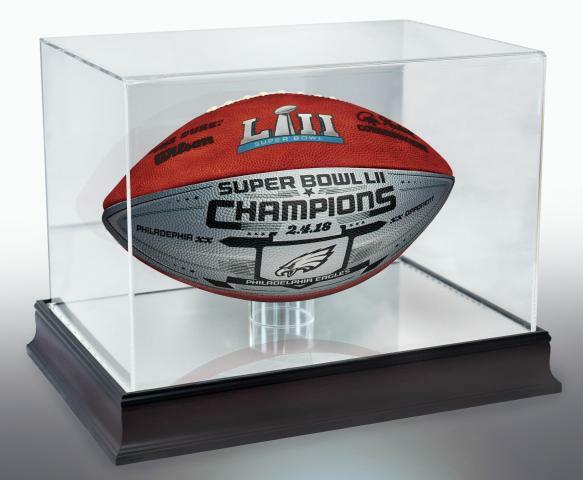 Each championship two ball set includes one (1) Eagles Super Bowl LII Championship Art Ball, one (1) Eagles Super Bowl LII Champions Wilson Game Model Ball, and two (2) acrylic display cases. This price is set so that you receive one display case free of charge. Order your set today before they are gone. Due to the limited nature of this offer we must charge your credit card for the full price immediately upon taking your order. This policy ensures we reserve a set for you. We will confirm your order by Email. These balls are not game used. Please allow 4 to 6 weeks for delivery. Balls are licensed by The NFL and NFLPA. This is NOT available for shipping/delivery outside the United States! 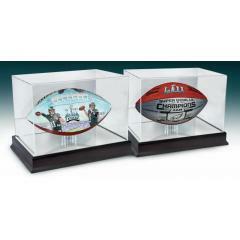 Eagles Super Bowl LII Champs Two Ball Set with Display Cases $355.85 Sold Out!